This is part three of 60 Things to See and Do in London. 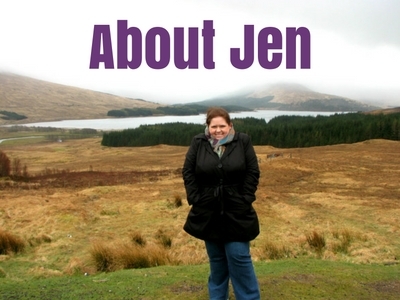 Check out part one and part two. Arguably one of the greatest cities in the world, London is bursting at the brim with things to see and do. Having lived in London for two years and spent a lot of that time being a tourist, I know a fair bit about the city and what attracts people to it. 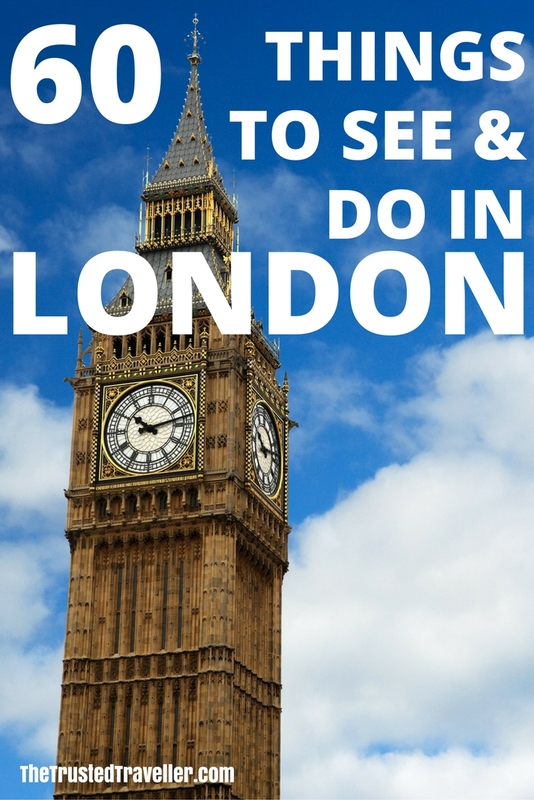 So, I have challenged myself to come up with a list of 60 things to see and do in London. This list is completely random and not in any order but will included the more obvious well trodden sights along with some you may not have heard of. Even if you have visited London before, I hope you find something on this list that will make you want to go back for more! You have probably seen these giant ferris wheels popping up all over the world in recent years. One of the originals that is still pulling in big crowds of people is the London Eye. Located on the popular South Bank area, a ride in one of the glass pods gives you incredible views across London in all directions and out into the surrounding countryside on a clear day (very rare). If you can handle the cost, try taking a ride in both the day and the night-time. London is very pretty at night. Visiting a few Merlin attractions while in London? You can save big money with the Merlin Magical London Pass. 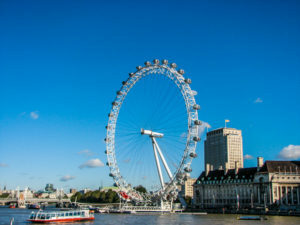 It includes entry to the London Eye as well as Madame Tussauds, Shrek’s Adventure and Sea Life London Aquarium. This is another of London’s great green spaces. 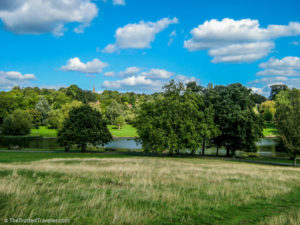 Hampsted Heath covers 320 hectares and is one of the highest points in London. The views from Parliament Hill looking south are stunning and on a clear day you can see parts of the city. Different to most of London’s other green spaces, Hampsted Heath is rambling and hilly, with ponds, woodlands, a lido, playgrounds, and a running track. Kew Gardens was probably the best thing I discovered in London. This incredibly beautiful place is set on 121 hectares with gardens of various sizes and styles, structures such as the red brick Kew Palace, the elegant Orangery, the great Pogoda and the amazing glasshouses plus a treetop walkway with nice views across the park. Every season brings something different to see with Kew being home to the world’s largest collection of living plants. It is a great place for a full day out with lots of walking trails, picnic spots and attractions to keep everyone happy and relaxed. 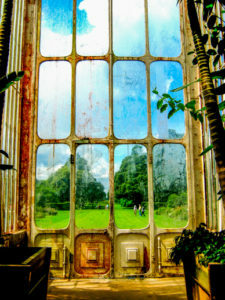 Pre-purchase your ticket for priority access to Kew Gardens. The Old Operating Theatre Museum is one of the more unusual museums found in London. The Theatre is the oldest in Europe and can be found in the St Thomas Church which use to be part of the old St Thomas Hospital. The museum shows the history of surgery and has a collection of artifacts revealing the horrors of medicine before the age of science. If you’re looking for something interesting and off the beaten path in London then this is the place to go. Unfortunately St James’s Palace is not open to the public, but together with the gardens it is worth a look from the outside when you’re in the area. Although the Palace is an official Royal residence, no Royals have lived there for almost two centuries with it being mostly used to host guests and functions. St James’s Park gets millions of visitors each year and is the oldest of the capital’s eight Royal Parks. Along with a small lake full of ducks and geese the park includes The Mall and Horse Guards Parade and is at the heart of ceremonial London. It is the setting for many spectacular pageants including the annual Trooping the Colour. When you are visiting Buckingham Palace it is easy to find St James’s Park a few minutes walk away and it is a nice haven away from the crowds, at least, when there isn’t a major event happening. 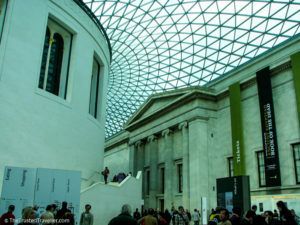 In my opinion, the British Museum is one of the best free museums in the world and is an absolute must visit on any trip to London. The museum is dedicated to human history and culture with its permanent collection consisting of some eight million works and is among the largest and most comprehensive in existence. It documents the story of human culture from beginning to present, covering items from all continents. For lovers of art, you can’t go past the Tate galleries. The Tate Modern holds the national collection of British art from 1900 to the present day and international modern and contemporary art. With the Tate Modern being the most visited art museum in the world, it would be hard to be disappointed after any visit. Most major cities around the world have an area they call Chinatown, where you will find a bunch of authentic Chinese restaurants, supermarkets and specialty stores. 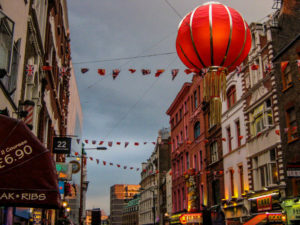 London is no exception and has a great Chinatown with lots of great places to eat and shop. As London is one of the most multicultural cities in the world you can expect the food found in Chinatown to be authentic and delicious. You will find Chinatown in Soho occupying the area in and around Gerrard Street. It’s a great place to go during Chinese New Year celebrations or any time of year for a nice meal and great atmosphere. Borough Market is London’s biggest and best food market showcasing top quality British and international food. A large portion of the stallholders are the growers and producers themselves making this a great place for foodies. The Borough area has been known for its food markets since the 11th century with various food markets being held there over the years. The current market has traded since 1755 and has always had the same values, to provide high quality produce direct from the growers and producers. It’s a great place to shop for ingredients, buy a few fresh essentials for the road, stop for a bite to eat or just browse at what is on offer. 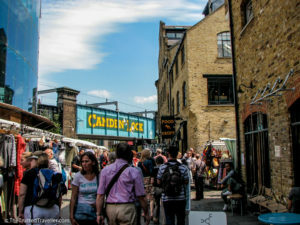 Camden Market is one of London’s most popular weekend markets, offering fashion and crafts with a mix of people and foods from every corner of the world. This isn’t just one market but a few, all joined together to form one big indoor/outdoor market set on the Camden Lock’s. The history of the market dates back to the 1700’s and has changed a lot even in recent years with a major fire destroying a part of the markets. It’s a very cool place and pulls big crowds so be sure to get there early. Jack the Ripper walks are among the most popular things to do in London and run through the streets of the East End seven nights a week. The gruesome tale of Jack the Ripper remains one of the greatest mysteries in the history of crime and makes for a fascinating and spooky tour. 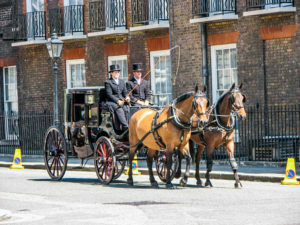 An expert guide will lead you around parts of London connected to Jack the Ripper and his crimes telling you tales and myths along the way. 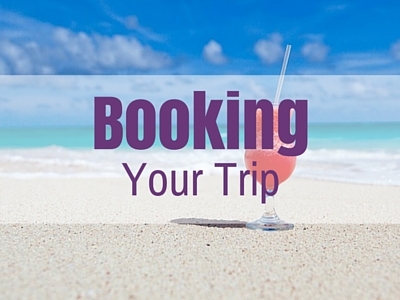 This is the most popular tour in London, book in advance here to avoid missing out! Anyone who is a Harry Potter fan will probably have shrieked with excitement upon reading the heading above. Anyone who isn’t a fan is probably thinking ‘what the’? In the Harry Potter books and movies Platform 9 ¾ is referred to as the starting point of the Hogwarts Express train that goes to Hogwarts School of Witchcraft and Wizardry. The train uses a secret platform know as platform 9 ¾ accessed through the brick wall barrier between platforms 9 and 10. All of this is of course fictional, but due to its popularity you can visit Kings Cross station in the western departures concourse and take your picture with a half trolley sticking out of the exterior wall on Euston Rd with a sign saying Platform 9 ¾ above. It’s a novelty only true Harry Potter fans get excited about. 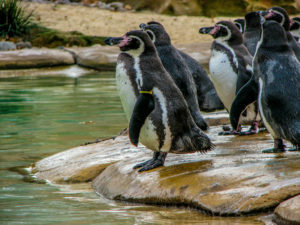 Opened in 1847, London Zoo is the world’s oldest scientific zoo and today houses a collection of over 700 species of animals with over 16,000 individual animals. Located on the northern side of Regents Park, the Zoo is a great place to see the animals going about their daily business. Some of the highlights include the penguins, the gorillas, African favourites such as lions, tigers and giraffes, all different types of monkeys, elephants and reptiles. Skip the queue tickets for London Zoo are available here. You will find the Santander Cycle Hire points all over London and it is a great, cheap and healthy way to see the city or just to get from a to b. The best things about using this service is you can return the bike to any docking station throughout London and it is cheap too. A 24 hour period costs just £2 and you can drop off and pick up as many times as you like in that 24 hour period and you only get the one charge. If it’s a nice day why not hire a bike and ride around London for a few hours, you will probably see lots of things you would have missed if you were on the Tube. Find a Santander Cycle Hire station here. 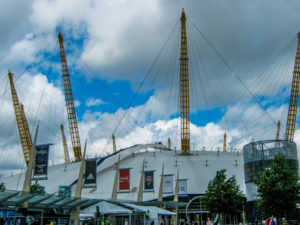 Most people know of The O2 as a venue for concerts, but there is a lot more to this entertainment complex than just that. Inside the arena complex you will find restaurants and bars, The British Music Experience which is an interactive museum on the history of British music, a cinema complex and a few smaller venues playing host to local and international acts. Just outside is Entertainment Ave where you will find more restaurants and bars making it a great place to visit both day and night. Finally, for anyone who likes a bit of a climb and some great views, you can experience Up At The O2, a 90 minute climb taking you across the roof of the dome. Check out The O2 website for opening hours, event schedules and entry prices to the attractions. Or book your O2 Climb here. Super touristy, a bit expensive but interesting and a bit of fun is the perfect way to describe this attraction. There is a few Ripley’s located around the world with London being the biggest. Step inside to discover over 700 artifacts across six floors celebrating things weird and wonderful discovered around the world. Get lost in a mirror maze, check out some fossilized dinosaur eggs or see how you measure up against the world tallest man. You will find something to interest everyone and if you’re travelling with kids, it is hours of entertainment to keep them happy. 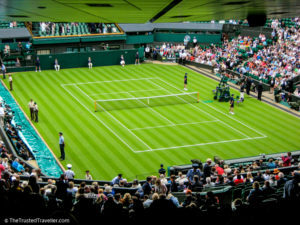 Wimbledon is known around the world as the home of tennis and is the setting for one of the four major Grand Slam tennis tournaments played each year. If you are lucky enough to get tickets to the event held in June each year, then you will be treated to some of the best tennis matches by all the big names while enjoying a Pimms and eating strawberries and cream. During other times of the year you can still visit the venue with a guided tour and museum visit. You will find out more about the history of tennis, the Wimbledon Championships and how the grounds are prepared for the tournament each year. East up the River Thames is the area of Greenwich. 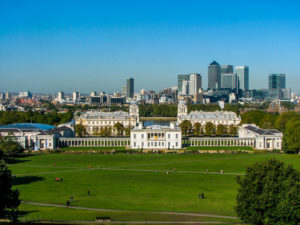 Most famous for being the place where the Greenwich Meridian line runs through, you will discover there is a lot more to this area than just that. Of course a visit to the Observatory and the line is a must even just for the views. But while you’re there, make sure you check out the town itself with its historic market (closed Monday’s) and pubs, the Royal Naval College buildings which are perfectly symmetrical with beautifully painted frescoes inside and the peaceful green spaces along the river to walk and relax. Greenwich is just far enough away from Central London to be a bit quieter while still being easily accessible. 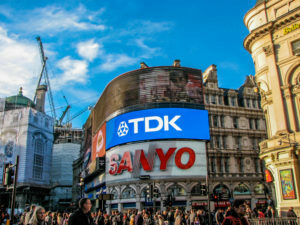 Chaotic, bright, in your face, touristy, over the top, these are just a few of the ways I would describe Piccadilly Circus. Despite this, first time visitors must visit this iconic heart of London area. You have probably seen it in pictures or in the movies, it’s a popular spot and probably one of the most recognisable in London. Bright lights and flashy billboards above, thousands of people forcing their way through the crowds below. There isn’t much else to see here but take just one walk through here to say you’ve done it! There is always something to see and do along London’s South Bank. 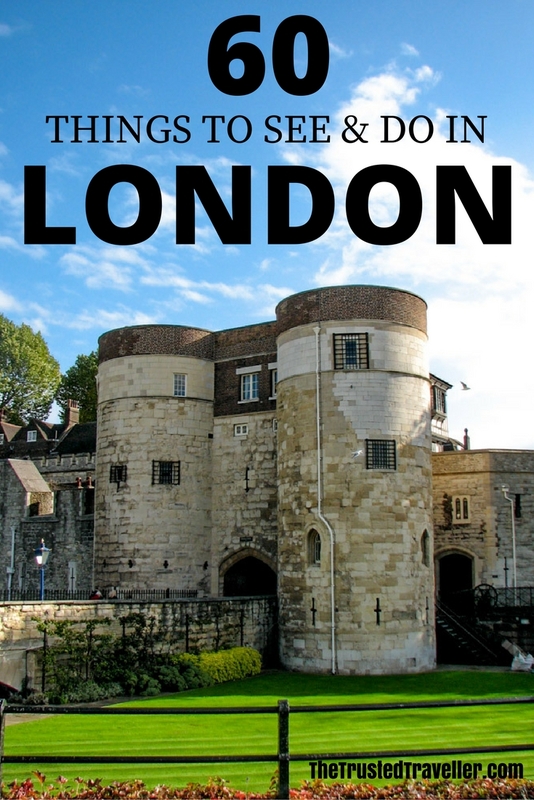 A few of these things I have mentioned throughout this series, including the London Eye and London Dungeon, are located on South Bank, but there is so much more to the area most visitors don’t seek out. Among the other permanent attractions is London Sealife Aquarium, BFI IMAX and OXO Tower. Throughout the year South Bank serves up festival after festival keeping visitors entertained and bringing the locals back regularly. 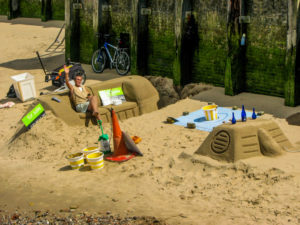 You can catch a show at the South Bank Centre or National Theatre, the festive season brings mulled wine and treats from the Christmas Market, free live music throughout the year and once I saw some guys building awesome sand sculptures on the beach. Its great place for a stroll day or night. 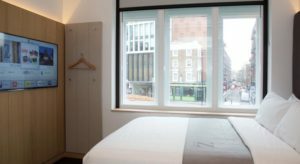 Located in Shoreditch, all rooms feature a 48-inch HD TV with free Sky Sports and Movie channels, free WiFi and an en-suite shower room with complimentary toiletries is also provided. Located at Tower Hill. 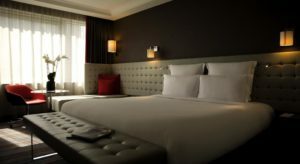 Each room is fitted with a flat-screen TV, Apple TV, free movies, free WiFi, a power rain shower and iPad controls. Some feature views of the Tower of London, the Shard or the London skyline. Located a 3-minute walk from the Eurostar terminal and 5 minutes’ walk from Kings Cross and Euston stations. 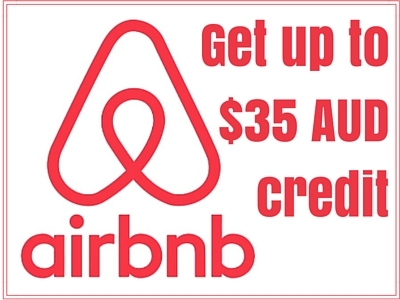 The hotel boasts the Golden Arrow restaurant and bar, free Wi-Fi, fitness centre, and 24-hour room service. Which of these things to do in London are you most interested in seeing and doing? I love London, so many great things to do for free! I think the Tate Modern has to be my favourite of them because there’s always some extravagent exhibition in the basement! Your right Charlie, there is so many things to do for free in London, probably more so than any other city. Thanks for stopping by! The London Eye is definitely my favorite spot here. I remember having a ride late in the afternoon taking some photos! Great experience! The views are pretty amazing Agness, even on a cloudy day.